The ultimate in luxury, our Leather Lounge is a perfect addition to any floor plan, especially those looking for a masculine touch. It features a mid-century modern inspired couch and club chairs from Sixpenny, slab-wood stools, and an ottoman handcrafted in LA by The Hunted Fox. 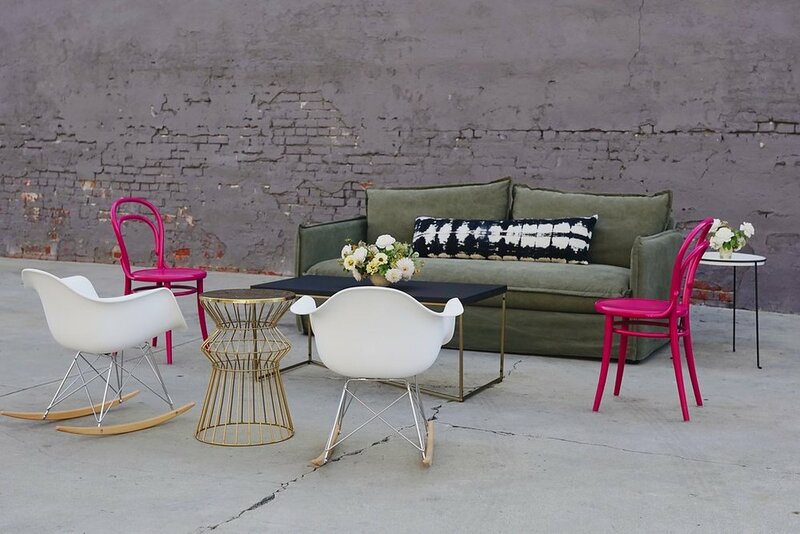 Add touches of indigo, lucite and metal for the perfect lounge! Single pieces that can be layered into your floorplan to create special moments on your big day!